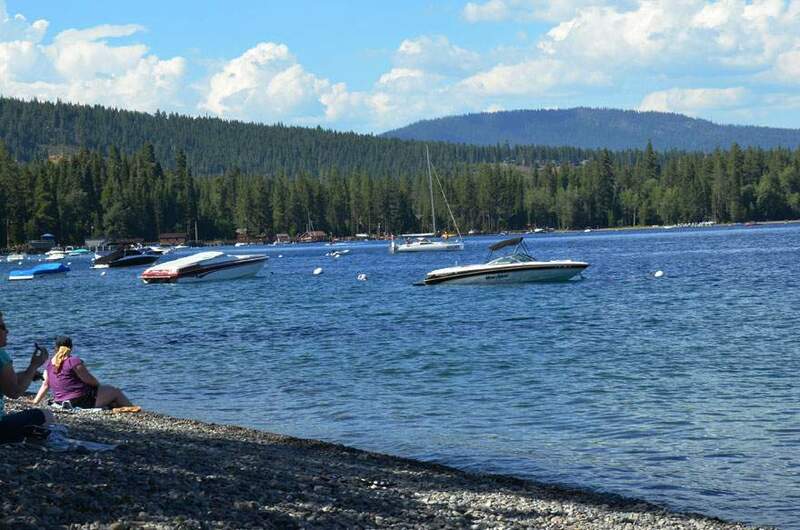 Hurricane Bay Beach is located on Lake Tahoe’s West Shore where local homeowners moor their boats in this beautiful bay. 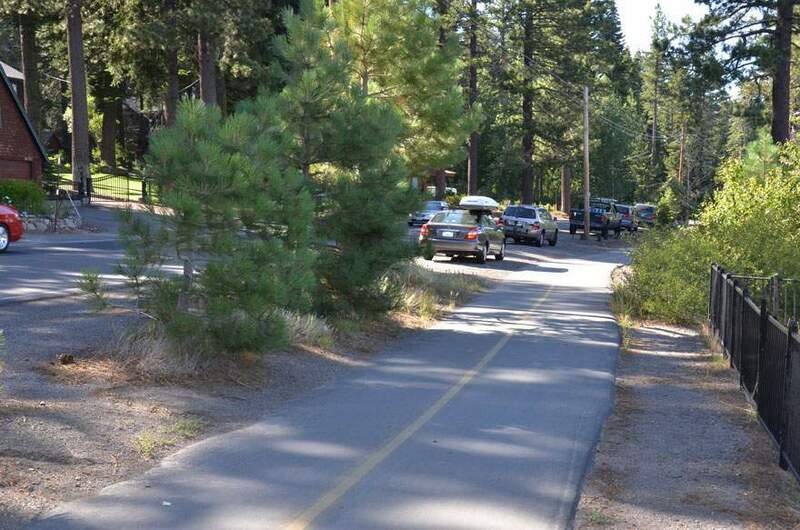 It’s easy to spot and parking made simple since the road skirts along the shoreline with parking spots right off the main road. 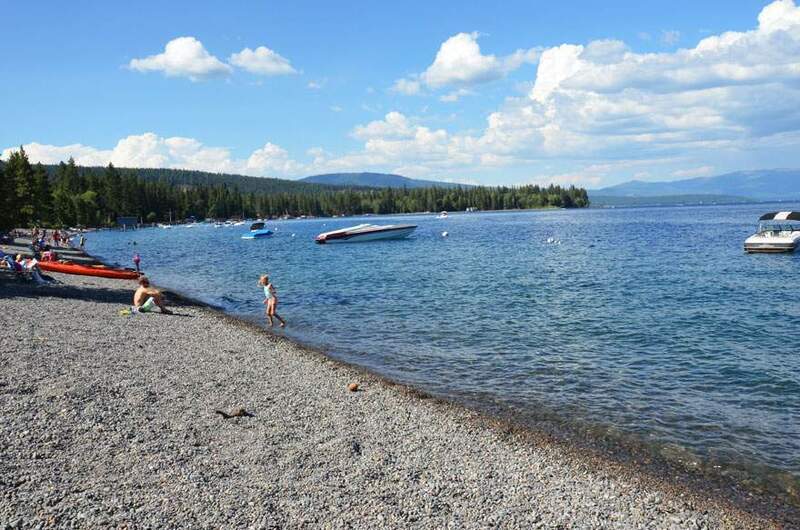 This makes this beach an ideal “quick stop” to take a dip in the lake, exercise your dog, enjoy the sunset or picnic without having to haul all your beach items to far to the shore. 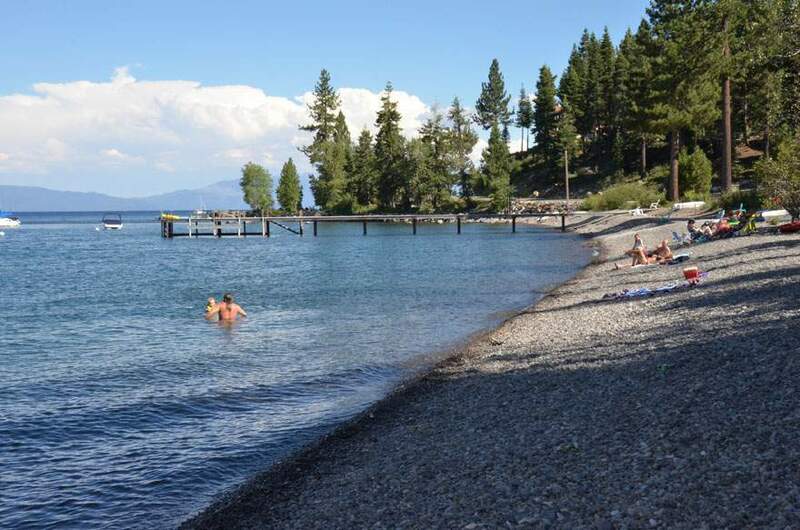 Hurricane Bay Beach extends across a half mile of shoreline with great North Lake Tahoe views and amazing crystal clear water. We recommend bringing chairs since the beach consists of smooth small rocks and not the decomposed granite found at other Lake Tahoe beaches. 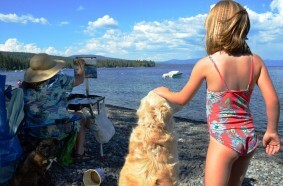 Hurricane Bay Beach is one of Lake Tahoe’s dog friendly beaches with a 50 foot designated “dog friendly” section. 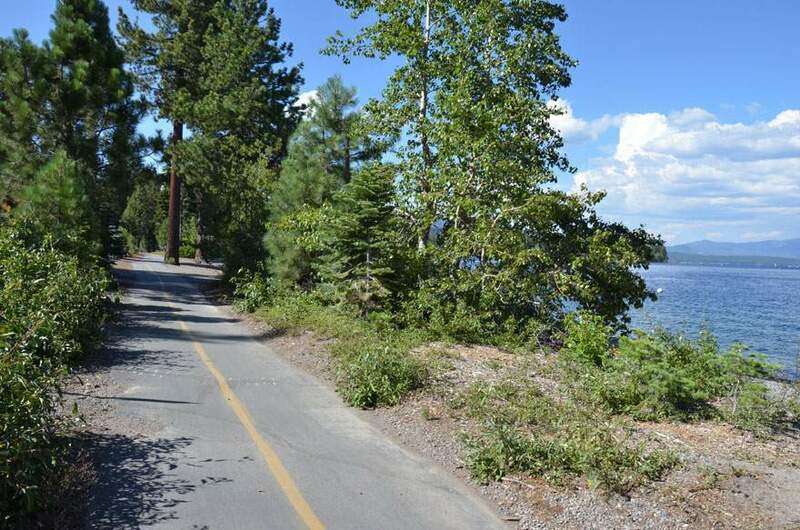 Enjoy the paved bike/walking path that runs along the beach and heads north into Tahoe City. There are public restrooms and picnic tables at the south end of the beach along the paved bike path. 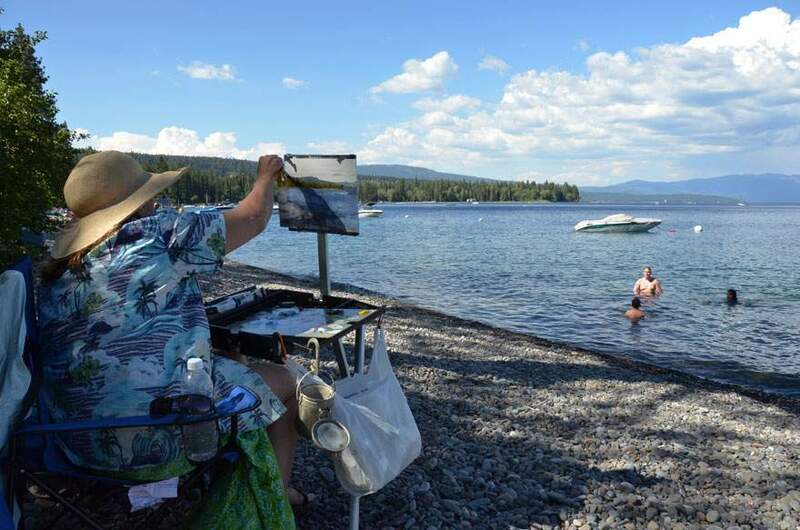 Hurricane Bay Beach is one of many wonderful North Lake Tahoe beaches so come explore the shores of Lake Tahoe up close. 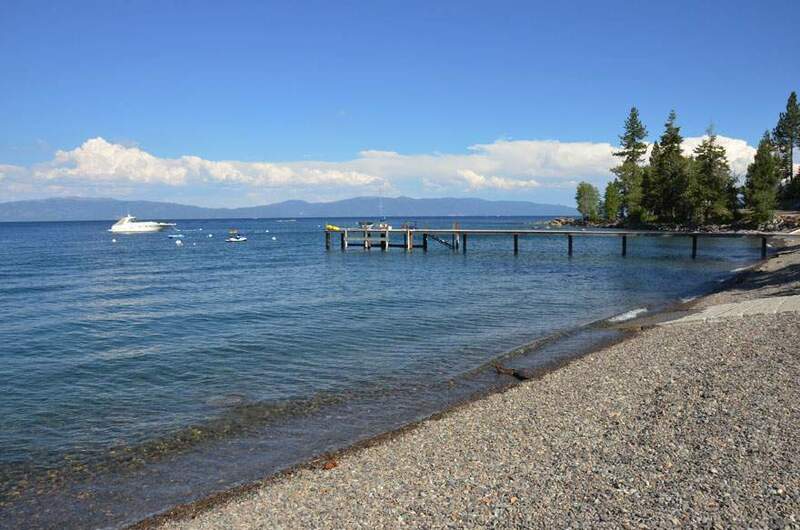 View our Lake Tahoe beaches map for other great beach options nearest you. 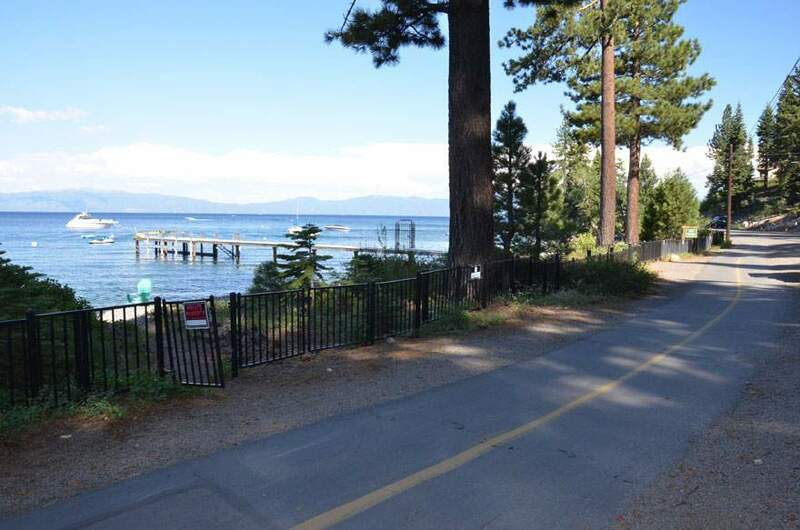 If you are heading South then take a few minutes to discover the many great South Lake Tahoe beaches.